Are you looking for low-cost liposuction treatments in your area? Dr. Ray an expert in liposuction at Elite Medical Aesthetics, offering low cost liposuction in the Rocklin, Roseville and Sacramento areas. Eliminate excess fat in one day? Experience BIG results with minimal pain and minimally-invasive procedures? Enjoy the thinner, contoured body you’ve always wanted? Click here to fill out your FREE consultation request form! Liposuction (also called Liposculpture or Lipo) is a popular cosmetic procedure done all over the world. Here at Elite Medical Aesthetics, we can help you spot-reduce fat in specific areas of your body to enhance overall shape and contour. If you have extra fat in abdomen, flanks, arms then liposuction can help to remove the fat in one day. Liposuction is great for both men and women who are at a healthy weight but are still struggling with stubborn fat deposits in unwanted areas. Most common areas of body for liposuction include, flanks, abdomen, upper back, double chin, neck, thigh. If you want to get rid of love handles, sculpt a small waist or remove a double chin, liposuction could be for you. Vaser Liposuction is an FDA-approved, minimally invasive way to remove your excess body fat. Using ultrasound technology, we will emulsify (melt) the fat tissue so that it can be removed more easily. Specific techniques, such as High Definition Liposuction, can provide amazing results for some people’s goals. SmartLipo is also FDA-approved and relatively safe. Like Vaser Lipo, this is minimally-invasive and would offer great results in experienced hands. SmartLipo can be done without general anesthesia, making it a safer, better option for many patients. Ask today for a low cost liposuction consultation. Liposuction does not have to be expensive! 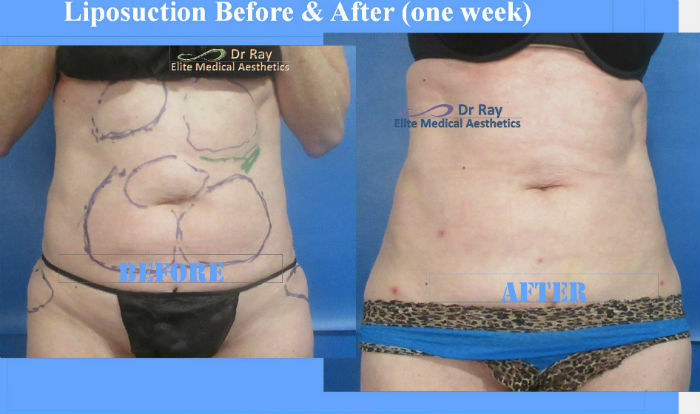 Here at Elite Medical, we can get the results you’re after – a significant removal of excess fat – for a low cost. Have a free consultation and find out how liposuction can be less expensive than most non-invasive treatments and yet results are definite with fast recovery. The cost will depend on the amount of fat to be removed, and how many areas require liposuction. Dr Ray at Elite Medical Aesthetics of Rocklin will provide you with a comprehensive breakdown of costs at your consultation – no surprises! After liposuction, you will need only 2-3 days to recover. You would need to avoid strenuous exercise for a couple of weeks after, but you will be back to normal life sooner than you think, within days. After liposuction, the treated area may be swollen and occasionally bruised, but this will fade quickly. As soon as your body begins to heal, you will notice your new shape! In fact immediately after procedure, you would see the significant improvement in those areas. Your body will be thinner, tighter and more contoured. If you maintain a healthy lifestyle, you can enjoy the results for years to come. Ready for a Liposuction Consultation? If you’re thinking of liposuction, the first step is a private consultation with Dr. Ray to assess your concerns and determine your suitability for the procedure. He and the team at Elite Medical will evaluate your health and goals to determine if liposuction is the best option. 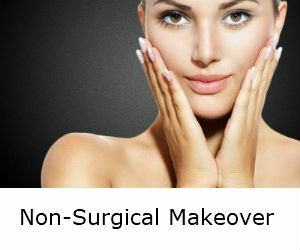 Click here or call (916) 500-2474 to book your consultation today! FREE CONSULTATION REQUEST FORM Click here to continue. Are stubborn areas of disproportionate fat persisting despite your best efforts, dieting and exercising? Liposuction is a cosmetic procedure designed to remove bulges caused by fat. Liposuction reshapes the body and is often called Liposculpture. Elite Medical Aesthetics, Dr Ray has performed many liposuction and helped patients in Greater Sacramento area, Rocklin, Roseville, Yuba City, Chico, Granite Bay and El Dorado Hills to remove the stubborn fat and shape their body through body sculpting procedures. The areas of the body that most people complain about are the abdomen, back, buttocks, hips, thighs, neck and chin. Liposuction gives Sacramento area Liposuction seekers a means to attaining their goals, more confident and feel better about their appearance. There are different techniques available for liposuction. Tumescent, Ultrasound assisted, and laser assisted liposuction. All these are done under local anesthesia. Dr Ray recommends you to schedule a consultation for determining if Liposuction is the best option and then plan for liposuction in another session. At Elite Medical Aesthetics, Rocklin, our procedures are goal oriented. Dr Ray would want to make sure you achieve your goals for liposuction. At Elite Medical Aesthetics of Rocklin, we offer liposuction procedure under local anesthesia. Tumescent Liposuction, is one of the liposuction techniques which commonly used. Tumescent liposuction is performed under local anesthesia in an outpatient procedure that removes disproportionate fat. Initially Dr. Ray inject diluted numbing fluid and cause the fat swell up then through small incisions which are around 2-3mm suction out the fat and that is called Liposuction. The incisions are very small and are not normally causing visible scars. Vaser Liposuctionis an FDA-approved, minimally invasive procedure used for removing excess body fat. It is an alternative to tumescent liposuction. Vaser Liposuction is using ultrasound technology to emulsify the fat tissue so that the excess fat tissue can be suctioned out easily. There are some specific techniques including High Definition liposuction (High Def liposuction) also available using this Vaser Liposuction. It is important to evaluate each individual and decide which technique would be appropriate for you. Having Ultrasound Assisted Liposuction, Smart Laser assisted Liposuction and Tumescent Liposuction at Elite Medical Aesthetics, would allow us to choose the best suitable technique for you. To find out if Vaser Liposuction is a good choice for you, Dr Ray recommends you to schedule a consultation. During consultation with Dr Ray, he would evaluate you and explain the various options for liposuction. At Elite Medical Aesthetics, Rocklin, our procedures are goal oriented. Dr Ray would want to make sure you achieve your goals for any aesthetic treatment. Smart lipois an FDA-approved, minimally invasive procedure used for removing excess body fat. It is an alternative to tumescent liposuction. Smart lipo is a highly efficient liposuction procedure with minimal scars, cuts and bruising and significantly fewer side effects. It is important to evaluate each individual and decide which technique would be appropriate for you. Having Ultrasound Assisted Liposuction, Smart Laser assisted Liposuction and Tumescent Liposuction at Elite Medical Aesthetics, allows us to choose the best suitable technique for you. To find out if Smartlipo is a good choice for you, Dr Ray recommends to schedule a consultation. During consultation, Dr Ray would evaluate you and explain the various options for liposuction. At Elite Medical Aesthetics, Rocklin, our procedures are goal oriented. Dr Ray would want to make sure you achieve your goals for any aesthetic treatment. Smartlipo is one of the great choices when patient would want to have the excess fat removed effectively but not wanting general anesthesia. It is mostly one time procedure for the area.